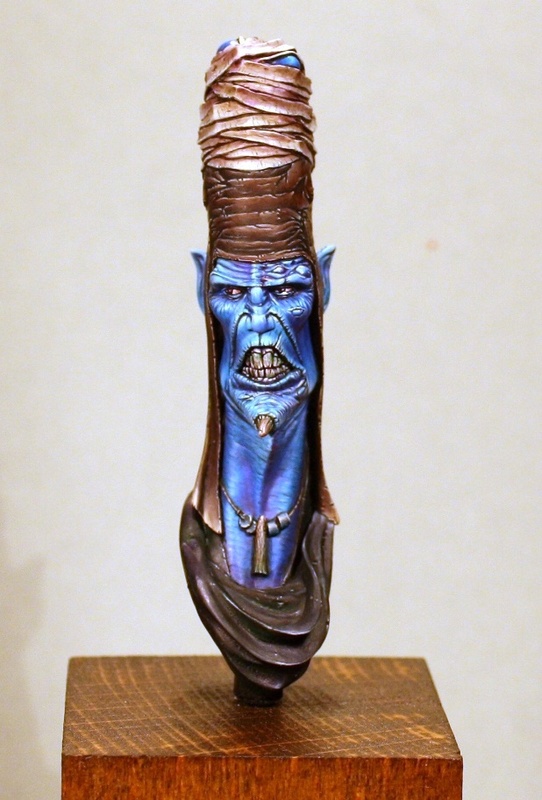 Some of you wanted to know what mini my cousin painted for the Duzi, here is the picture. That's the 3 or 4 miniature he has finished, but he painted it all, by my side. I tried to say him directly all techniques I know and how to hold the brush best, how to make bases.. I think, you learn so much faster, if anybody says you how to do it. He is 12 years old. 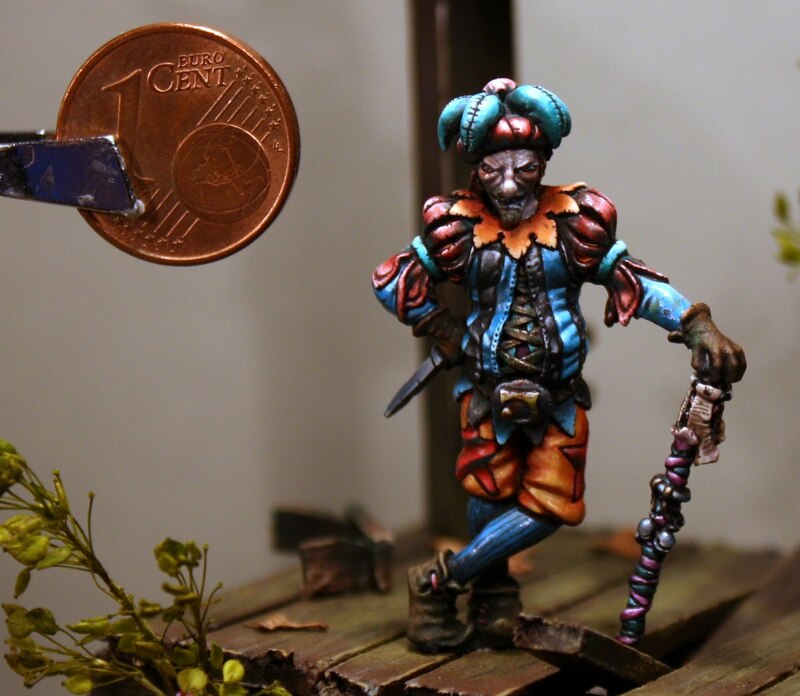 You will see his new miniatures on the CMON account than, *Jack.Rackham* . Your little cousin will become a really great painter if he listens carefully to you ;-) Indeed, this is a very impressive miniature from a 12yo. 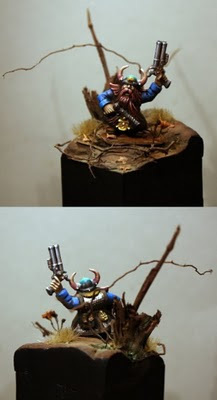 Would love to see some more detail shots of the other miniatures at the diorama. Great paintwork from you. And your cousin starts a great career when he paints in this way.